II What Was Her Name? Licensed From – Beggars Banquet Records Ltd.
Jewel-case housed in a black slip-case. Tracks II and IX: published by Edition Söder & Wacha/Warner Chappell/Universal/Momentum Music 3 Ltd. Used with permission all rights reserved. Track XI: published by Universal/Momentum Music 3 Ltd. Used with permission all rights reserved. Track IX: contains a sample of "Watch That Grandad Go" by Bauhaus. Licensed courtesy of Beggars Banquet Records Limited. Track XI: contains a sample of "Christian Says" by Tones On Tails (Ash/Haskins/Campling). Licensed courtesy of Beggars Banquet Records Limited. 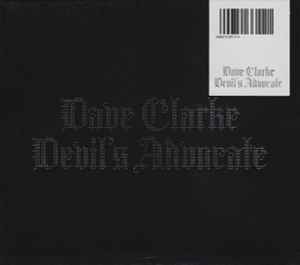 Dave Clarke's "Devil's Advocate" suffers as it wants to mean many things to many different people. From electro, dirty and rotten hip hop, house, dance floor numbers and shots fired at the current state of the scene, Dave tries to cover it all in a little under sixty minutes. Well, he fails. Where as certain parts of this album are great, as a whole it has no focus whatsoever. Tracks like The Wolf, which is two minutes shorter than on vinyl, Way Of Life, with DJ Rush laying some old school vocals, and Just Ride are all proven party corkers, but placed around tunes like Blue On Blue, Clarke's hip hop production for Mr. Lif's ferocious rap, mockers like Disgraceland and What Was Her Name?, both of which feature relatively interesting vocals by Chicks On Speed (until the fifth time you hear them), and a few other techno/electro clashes - and there you go - you have a little of everything amounting to nothing much. Versatility is all over the album, but it seriously sounds like a collection of "I don't know what to do with these tracks" release, rather than a proper album. No track is atrocious or unberable, but very few will make you go back to "Devil's Advocate" as well. I'd recommend picking up the 12" releases from the album.